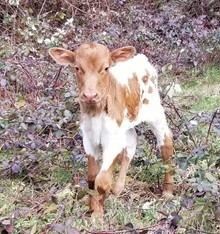 Very gentle young cow. Great pedigree on this one. Looking forward to her horns rolling out. We already have some twist going.